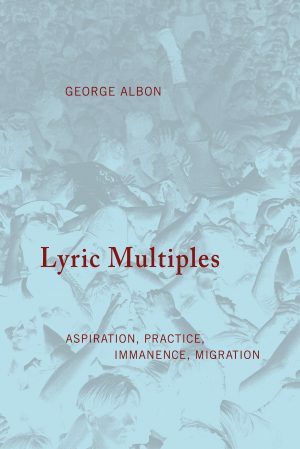 Lyric Multiples comprises four essays written over the last decade. The subject is poetry but the essays range over such topics as the evolution of the human call, ascensional modes of thinking, pop songs, the built environment and its discontents, the post-punk moment, its fruitful aftermath, and much else. 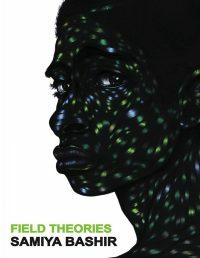 Throughout this book, Albon explores unencountered varieties of aesthetic experience and the contributions they make to an ideal of social interconnectivity. “What do you want poetry to do?” George Albon inquires in the final line of this wide-ranging work. It’s a further—almost vertiginous—opening of the aperture he’s already stretched so wide for us. Where does the lyric begin; where does it live; what can it do; why do we go to it? The text approaches these questions by dropping us into domains ostensibly outside of lyric—though in the end, one realizes that the lyric has never been left. Albon assembles a hybrid landscape, making gestures and suggestions marked by a quiet urgency, but no claims beyond the aspirational. I don’t think it’s a stretch to call this a devotional work: a faithful “getting toward a poem-thing” in which the arrival is ultimately kept open. I suggest you read this one slowly—to experience how nothing goes still each time the book is closed. 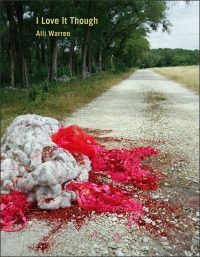 Crafted in vivid prose that reflects and further encourages climates of inquiry and states of hidden affiliation, Lyric Multiples is a capacious and open-ended view into the life forms that animate poetic practice. 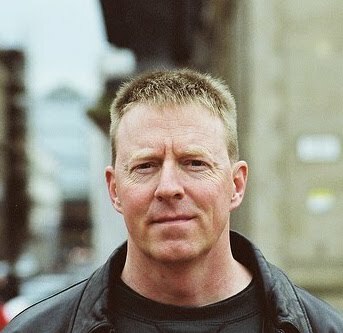 A writer graced with breadth of mind and commitment, Albon is a phenomenologist attuned to everyday particulars and to the place-specific estrangements in such time as that engendered by emergency, inclination, and encounter. 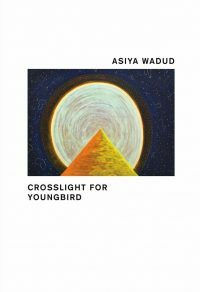 This is a profound work, complex and cannily observed, a landscape welcoming of art’s lived circumstance and of the poetic word’s unlived potential, always forthcoming. with motley materials that might nevertheless stand upright if a fortuitous combination of touchpoints were found. The concerns inside them are disparate but enduring.” That is to say, reading Albon does require some active participation on the part of the reader. This is not entertainment for the passive! Expect to be sent to the bookshelves, whether at the local library or nearby bookstore (Albon happens to work as a bookstore clerk himself ), but also expect to be encouraged to reflect on the world outside the window. Albon brings in the everyday from the street—“My dream house is a porous room”—and frequently references sounds and sights, whether they be heard from outside or seen when walking past a window or sitting on a park bench or in a café. The stamp of Baudelaire’s flâneur is implicitly felt throughout many passages. can be a world. Second hit, that the world fills in. A certain ratio makes a grating sound. 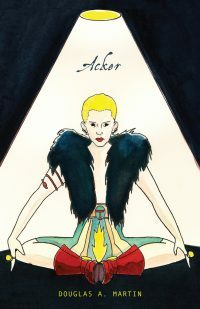 And there is your practice.” There’s an endless fecundity to Albon’s writing as he continually probes in this manner.